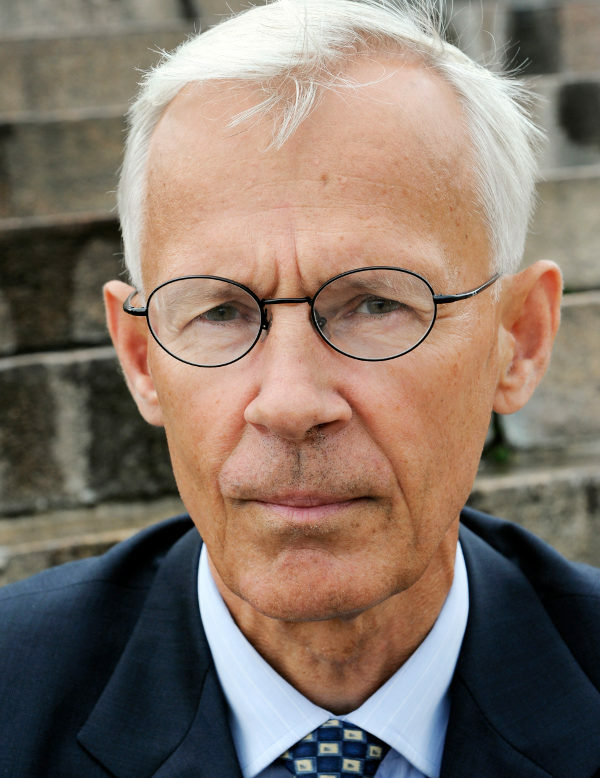 On 19 September a Swedish public television current affairs program called Mission: Investigate (Uppdrag granskning) by journalists Sven Bergman, Joachim Dyfvermarkand and Fredrik Laurin, reported on Swedish telecommunications company TeliaSonera’s entrance to Uzbekistan. According to the programme, TeliaSonera paid $320 million to Gibraltar-based company Takilant Ltd, a “local Uzbek partner”, in exchange for 3G licenses and a series of Uzbek phone numbers, which allowed it to start operating in Uzbekistan. Gayane Avakyan, an Armenian woman born in the mid-eighties and active in the fashion scene in Uzbekistan, is the sole owner of Takilant, the offshore company, according to the documentary. She is said to be “Googoosha” (Gulnara Karimova), the Uzbek president daughter’s “right hand”. Takilant has its own subsidiary in London called Panally, the secretary of which is on the board of another company, Odenton Management Ltd, which in turn belongs to Gulnara Karimova’s husband. Another Panally director is a woman called Katja Klyueva, who is also head of "House of Style", founded by Gulnara Karmiova in 2003. Ms Avakyan also headed House of Style several years ago. Swiss authorities became aware of Ms Avakyan when they opened a large investigation into suspected money-laundering. Earlier this year, in July 2012, two citizens of Uzbekistan, who were working at Coca-Cola Uzbekistan, were arrested in Geneva. Coca-Cola Uzbekistan is also part of Ms Karimova’s empire, because Coca-Cola Icihmligi Uzbekiston Ltd, Central Asia’s biggest plant, was established by her former husband. As Fergana previously reported, it is the managers of this company that carry out Ms Karimova’s personal financial operations in the West and those arrested were part of Ms Karimova’s “inner circle”. The arrests were connected to a scandal-filled investigation of large-scale money laundering. Gazeta.ru reported that as part of this investigation, several Uzbek citizens linked to the country’s authorities were arrested on 19 September in Switzerland. According to French publication Le Temps, nearly $600 million were frozen and Romandie.com reports that the money was frozen in several Swiss banks. 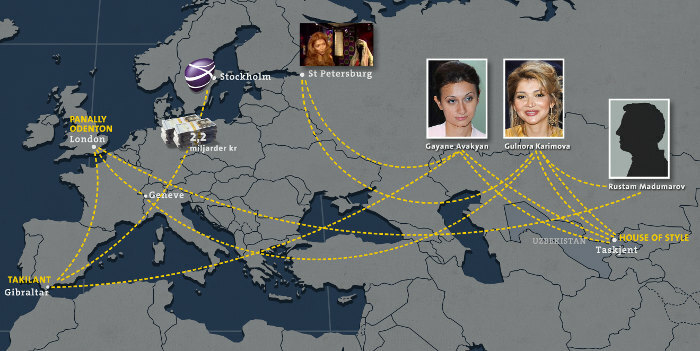 Gayane Avakyan and TeliaSonera are at the centre of a money-laundering investigation in Switzerland. TeliaSonera is just as involved in the investigation. Did you bribe Gulnara Karimova and the Uzbek authorities? Cecilia Edström: We paid the company which was the rightful owner of the frequencies and licenses, in order to begin our own operations in Uzbekistan. We checked that the person representing the company had the right to do this, but we did not manage to clarify whether any other persons were behind the company, and if they did, who they were. Why did you pay 2.2bn Swedish Kronas ($320 million) to the Gibraltar offshore company for a license you are getting from the government of Uzbekistan? C.E. : The assets that were necessary to start operations belonged to another company and we used legal means, which are accepted in Uzbekistan. Owners cannot buy licenses from each other, they must return the licenses and numbers to the Uzbek government, which in turn makes them available to the new operator. So you paid an offshore company 2.2 Swedish Kronas and then got the license from the Uzbek authorities? C.E. : We paid the legal owner of the license. This is a formal process: the licenses were returned to the Uzbekistan authorities, who then gave them to us. It is worth noting that in the reports presented by Takilant to the Gibraltar authorities, and carefully studied by journalists, do not contain a single mention of the large sums paid by TeliaSonera in cash and security papers. Uzbek lawyers have explained that telecommunications licenses are given out by the Uzbekistan authorities and cannot be sold. The president’s daughter has no formal connection to the country’s telecommunications market, but the documentary’s authors concluded that it is her who regulates the licences and decides who gets the income from profitable contracts. The US State Department’s confidential reports published by Wikileaks, say that people call the president’s daughter “a robber baron”. The Swiss authorities are investigating the links between TeliaSonera and Takilant, according to the documentary. Nobody from TeliaSonera has yet said that the payments to the Gibraltar company were part of a money laundering scheme. “We would have never done that”, says TeliaSonera chairman Tom von Weymarn. TeliaSonera prefers to work using unspoken rules established in their country of operations. The company was accused to working with security services in CIS countries by journalists in April 2012. The media had uncovered that TeliaSonera gives the authorities’ strongmen information on calls made by their clients (including journalists, the opposition, activists and ordinary citizens) without adhering to the existing legal procedures. Also, the security services are said to have real time access to the voices and data of those on the TeliaSonera network and can get full information on anybody’s correspondence, calls, location and movements. At the time, the company announced that it has to adhere to the rules where it operates. Fergana would like to thank its Swedish colleagues for their information and supports them in their investigation. The information agency hopes that the truth about the dubious deals made by European companies with people from the Uzbek president’s inner circle will emerge soon.